A METAL tie-in! "BATS OUT OF HELL" part two! 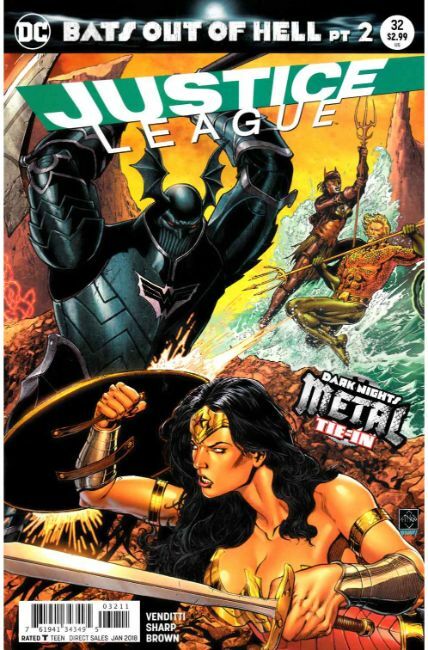 The Justice League have been separated by the dreaded Dark Knights and are forced into twisted Bat-Caves designed to kill them! The Batman Who Laughs and the Murder Machine experiment on Cyborg, seeing how he reacts to the horrors of the Dark Multiverse! Can the Justice League survive their worst nightmares made real? !